According to this article on Kotaku, H.G. 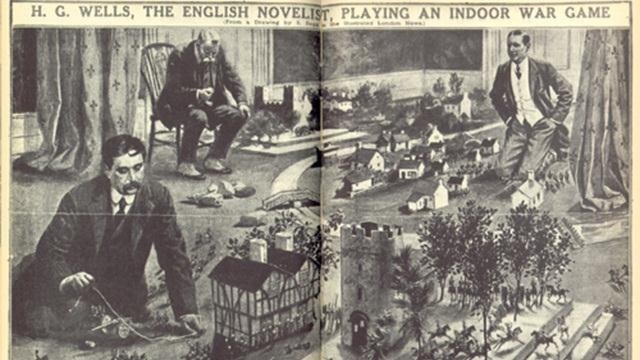 Wells invented modern tabletop wargames. 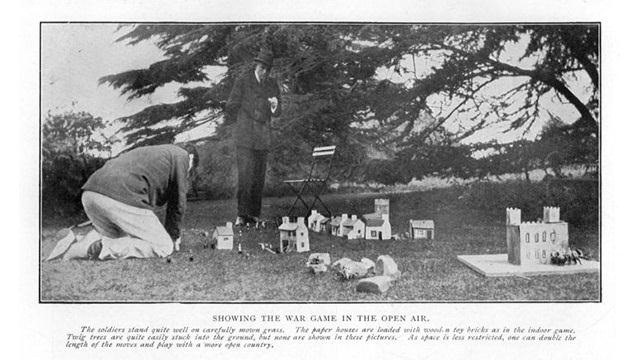 War games had been going on for a long time, but Wells was the first person to make them accessible for a casual, non-military audience with his game Little Wars. And here's a drawing of Wells playing at home. Depending on what year this was drawn, Wells is either the gentleman in the bottom left, or the older man sitting in the chair.